Book your rafting trip online today! Activity times vary. Open from April through mid-October. Whitewater Challengers is a premier whitewater outfitter in Northeast PA and Upstate NY. Offering exhilarating whitewater rafting trips on the Lehigh, Black and Hudson Rivers. Our professionally guided tours are action-packed adventures you don't want to miss. 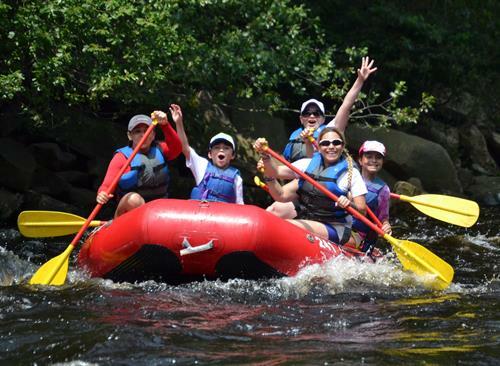 Whitewater rafting trips is a fun-filled, family activity in the Poconos! Trips are available for children ages 5+ for our Family-Style Rafting. Or try one of our Premier Rafting trips for ages 9+ on exhilarating class 2-3 rapids in the Lehigh Gorge State Park. Pick out a dam release date for some of the most exciting rapids all year. If you are seeking a new challenge on the Lehigh River try our new Inflatable Kayaking trips in the Lehigh Gorge State Park. Enjoy 3-4 hours on class 2-3 rapids in a one- or two-person "ducky". 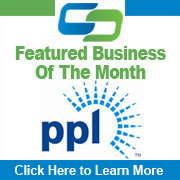 Visit out website to learn more about this exciting trip option. Whitewater Challengers Lehigh River Adventure Center also offers camping, trail biking, paintball games and more! Come for the day, stay for the night or stay for the week. 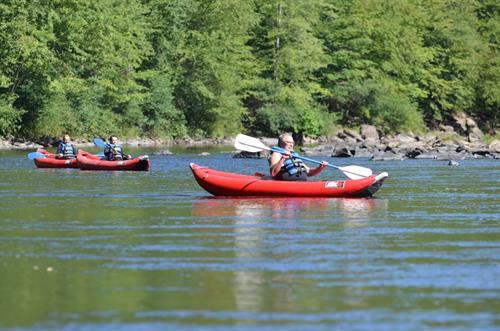 We offer several adventure packages so you can have multiple days of fun in the Poconos all from our Adventure Center. 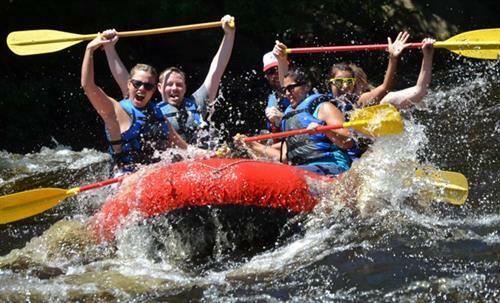 Choose a Premier Rafting trip on dam release dates for even more fun! Try our NEW inflatable kayaking trips. 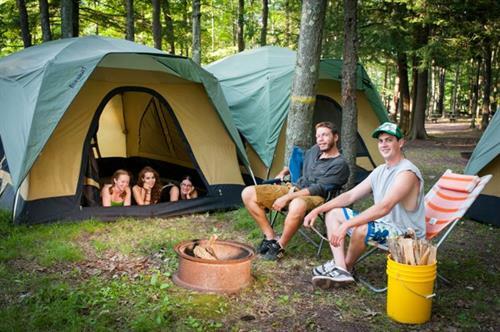 Stay the night at our campground located at our rafting center. Follow the directions from our website for the most accurate driving directions.